Is the traditional office a thing of the past? 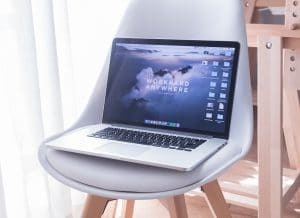 Thanks to the endless possibilities in the way tech (and other) industries organize work in the 21st century, there has been a huge upturn in the amount of people who are able to work remotely. But what exactly does working remote entail? Remote workers telecommute and telework outside of a traditional office. Some companies combine remote and in-office workers while some companies are completely distributed, without any headquarters (Zapier, GitHub and Mozilla are some of the giants who are hiring remotely in 2018). Many companies are afraid to implement a remote work culture, fearing a drop in productivity. In actuality, 86% of workers prefer to work alone to hit maximum productivity, which remote work encourages. It can also help to reduce stress, 82% of remote workers report lower stress levels than in-office workers. Remote work even decreases turnover rate, with job attrition rates falling by over 50% when remote working options were offered. If you want to reap the benefits of remote work, you’ll need more than just wifi, PC or laptop. You’ll need an awesome and positive remote culture to keep your employees engaged and happy in their jobs. Establishing a positive remote culture can help your employees feel more connected to their jobs, increase productivity across teams, and even increase the amount of time employees stay with your company. Remote work, like any office environment can also fall victim to a negative working environment. Keep an eye out for things like workplace gossip and overworking, as these things can tear down any work culture, including a remote work culture. One of the biggest things remote workers have to maintain is constant communication. Luckily, tools like Slack and Trello have made staying in touch easy for remote teams. Because almost all communication between remote teams takes place through chat, it’s important for remote workers to over-communicate. Encourage people to speak up when they share a problem, share an accomplishment, or even just to ask a question. This kind of communication ensures that there are no confusions when deadlines come up and that projects move quickly. It also helps remote employees feel like they are being heard and recognized by their coworkers and managers. Communication is not only important for the business side of things though, it’s also important for building team morale and connecting with your coworkers. Many companies facilitate this by implementing non-work related chat rooms into their company’s Slack. This means you’re not losing out on those water-cooler type conversations that can help employees feel connected to their coworkers. Nobody wants to feel like they’re just executing tasks. This is especially true of remote workers. Be sure that your remote work culture encourages ownership and leadership. Give remote employees the opportunity to “drive the ship” and make it clear that there are always ways to advance. This helps your remote team feel like they are a part of the company’s success, not just the people executing it. We’ve already told you community is incredibly important for fostering positive remote culture. But no community is complete without a common goal. The best remote companies have a few core values and principles that bring everyone together. Figure out what this means for your company, and don’t just phone it in. Live and breathe your values, and your employees will do the same. Remote culture is about more than working from your laptop, it’s about being a part of a team that is working together towards a common goal. This is possibly one of the most important things to establish in a remote culture. The real reason managers are afraid of remote: loss of productivity. Though we know this isn’t the case in many remote working environments, clear documentation can put your mind at ease and will let your employees know exactly where they stand and what they can improve. Many remote-first companies document absolutely everything. Every set of meeting notes, every conversation that led to every decision. As with communication, over-documenting is always preferable to under-documenting. Many cool project management tools exist today to allow you to customize how you want to document and track your workflow. Remote workers can come from every corner of the globe, and are great examples of how diverse the workplace can be. Be sure to celebrate and support this in your remote employees. When morning people are given the flexibility to do their work when they’re most productive and night owls are allowed to burn the midnight oil, the whole team benefits from better work. Making your employees feel valued for what makes them great at their jobs is something that should be present in every working environment, but it’s especially important for remote workers who don’t get that face-to-face confidence boost.